What our authors have to say! ​​﻿"Jen and the Write Divas are an author's dream come true. It was really wonderful to have such a knowledgeable group as I ventured into self-publishing. "Jen would answer any and every question within minutes. I knew that her pride in her work and her dedication to having my back would keep me and my precious book safe as I navigate the process. I will happily use them again in the future and highly recommend them." ﻿"Having Write Divas edit my work has been a fantastic experience and great value for the money. In addition to line edits and proofreading, they gave me lots of insightful comments and suggestions, almost all of which I took into account when revising. Both my characters and plot benefited from Write Divas' highly professional advice and, as a consequence, were much improved." ​​​I write a mystery series about a former con artist who solves murders, but there is no mystery when it comes to who I trust to edit my novels. Write Divas has been at my side from the start. Not only do they sleuth out missing commas, but they catch inconsistencies with dialogue and plot. Having a team that knows how the reoccurring characters act and speak ensures consistency throughout the series and guarantees every page is free of a writerly crime that could prevent it from being a turner. Three words immediately come to mind when thinking about my experience with Write Divas, LLC: Thorough, Professional and Communicative. The content and copy editing was thorough. I mean, REALLY thorough. Lauren researched, gave thoughtful notes, challenged me and pushed me to make my manuscript better. The proofreading was exhaustive. From beginning to end the process was very professional and my editing team was always in contact. I’ve heard a story or two in the writing world about editors that aren’t responsive. I never felt this way - ever, with Write Divas. I felt I could get in touch with them quickly and I’d get a response in no time. Without Write Divas, my manuscript would not be as smart and clean as it is. I recommend you give them a shot and see for yourself. "Working with Lauren as a content and copy editor was a fantastic experience. Lauren is not only thorough with her comments on plot structure and character, she also easily identifies issues in the manuscript and offers helpful and insightful suggestions to resolve them. Lauren is a hands on editor, and makes herself available to work through any problems, while sticking closely to deadlines. "Her comments in my margins made me giggle and smile and sometimes even snort. She was my biggest cheerleader and harshest critic, both of which are essential in a content editor. She was always willing to bounce ideas and point out flaws in order to help tighten the manuscript and make it flow. "Lauren came highly recommended by another author friend and I'm so glad we were able to work together. Polishing my manuscript was an incredibly positive experience, and I would easily recommend Lauren to other authors looking to whip their story into shape before publication." When I made the commitment to self-publish my first trilogy, selecting an excellent editor was critical for my personal success. I asked fellow authors for recommendations and was quickly directed to Write Divas. My inquiry about their services, pricing and availability exceeded my already high expectations, and I appreciated their investment in my project. From the beginning, they made the effort to understand all aspects of my manuscript, including plot, character development, locales, and grammar preferences. I’ve enjoyed my collaboration with Janine and Lauren. Their professionalism as editors is unequivocal and I look forward to working on the Constellation series (and future novels) with them. I recommend Write Divas without hesitation! I was thinking of using Write Divas for a while now and stumbled across their website when the time came to edit my first book, “Through the Fog.” However, due to my deadline and their busy schedule, it wasn’t able to happen. Regrettably, I looked on and eventually found someone else. With my second romantic suspense needing polished, and boy was that a job, I turned to Write Divas again. This time our schedules were a match and they were able to fix me up with someone on their team: Janine Savage. I’m so glad I had her to work on my manuscript. Not only was she prompt in getting back with me, but she sent me this lengthy email asking about my preferences with word choices and the like. I was really shocked. Not even my last editor asked me what my preferences were. After I sent it to her, she immediately started on it. What I admire is an editor that reads the story first to get the whole picture and then goes back through and edits. Janine did just that. What I liked even more was, looking at my time stamps on Microsoft Word, I saw she got rid of unnecessary wording one day, then another day she started over and helped with sentence structuring. She didn’t just do this all in a few days' time like most do. Some editors choose to work in halves, but she felt this wasn’t the best thing to do and told me her reason. I couldn’t have agreed more. Also, she didn’t wait until a few hours before it was due to edit. Rather, she took her time by doing a few chapters daily and pacing herself. By doing this, I knew she didn’t rush through it and treat my manuscript as just another job. I’m extremely impressed with her and Write Divas as an editing company. Their pricing was also a benefit as I felt it was fair… especially if you are like me and are an indie author. Janine gets five out of five stars from me and I would recommend her to anyone. ​"I worked with Write Divas for the first time on a content and copy edit of my last novel, Homewrecker Incorporated. I was amazed with how much they were able to help me improve the story. They were thorough, professional, reasonably priced, and pretty damn fun to work with! I will definitely be using them for my future projects." "My go-to editors are the Write Divas. In particular, I have worked with Jen and Lauren. The Write Divas are so knowledgeable in every aspect of the editing process, they pointed out things in my manuscripts I never even considered previously. What's so great about Write Divas is that they highlight the edits that need to be made, explain the reasoning behind those edits, and then offer suggestions for improvement. They are brutally honest, but fair. "Handing over your manuscript to a professional editor isn't a sign of defeat or an admission of an inability to write. It means you believe in your work so much and are so proud of it that you want to give it the best. Your readers will also notice a difference and thank you for it. You've put so much time, love and effort into writing your manuscript, so do yourself a favor and don't skimp where it really counts. Contact Write Divas today." "Write Divas are a team of awesomeness! I have used them for editing several books and I can’t imagine hitting the publish button without them. Lauren has worked with me on content editing and has taught me how to perfect my words. Hats off to her mad skills! "Looking for a team of editors to get your words looking nice and shiny? Then use Write Divas and have a polished manuscript you can be proud of." ​"After three years of writing and research, I finally finished my novel, Courageous Footsteps. Excited to take the next step toward publication, I contacted an editor I'd worked with in the past. When she told me her schedule was booked for month, I frantically searched on-line for other options. In the process, I came across Write Divas. After reading the information on their website, I decided to give them a try. I'm so glad I did! 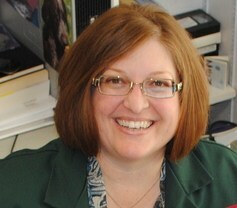 Janine Savage, the founder, was very professional, and extremely knowledgeable. She even had the background in historical research, a perfect fit for my book set in World War II. As Janine and I worked through the editing process together, she offered constructive suggestions and we established a very positive working relationship. I would highly recommend Write Divas editorial services and look forward to working with them on my next novel." ​​"I'd heard so much about the Write Divas that when it was time to hire an editing team for my debut novel, they were my first stop. I learned so much from Lauren and Shay in such a short time and was super impressed with how quickly they were there—not only to answer questions during revisions, but even after my first query. I'd recommend them to anyone, anytime, anywhere." "Write Divas stood out like a movie starlet among editors. These Divas understand editing, writing and the book publishing industry. Janine, my Diva (and that's just a bonus, getting to say you have your own Diva) explained the process and amount of time my assessment would take. I was so exicted I did a happy dance. My manuscript was flawed, but my Diva pointed out where and suggested how to fix it. The assessment broke through my revision doldrums. Write Divas gave me the confidence to make the changes that would improve the manuscript. "Without hesitation, I rehired the Write Divas to copy edit the manuscript after revision. I also asked for help in crafting my query letter as it will be my first. I want someone familiar with the industry to review my letter for correctness, clarity, and effectiveness. From start to finish Write Divas is the right choice for editing. Writers, you need an editor. Select quality." "Lauren's editing suggestions and critiques were thoughtful and invaluable. The overall assessment and feedback on my manuscript gave the book life in the end and I retained a lot of the advice that helped me improve my craft. 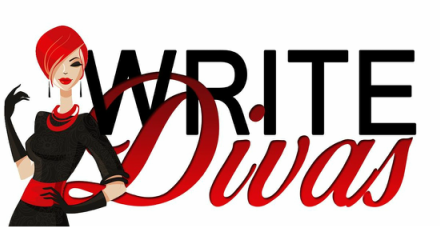 The Write Divas team is highly recommended!" "I've followed Write Divas on Facebook and Twitter for years and I'm subscribed to their blog where I learn something from every post. 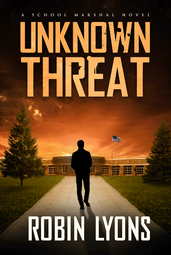 Recently, I used their editing services for my suspense/thriller novel Unknown Threat, specifically the extended copy edit by Jen Matera. "Jen's edit was honest, thorough, and professional. She made suggestions to add more detail and show more emotion that were helpful and appreciated. Her concern about a specific character’s wandering eye was spot on. The corrections to punctuation, grammar, and sentence structure were necessary and instructional. ​"I highly recommend Write Divas and look forward to working with Jen again."